Researchers have successfully proven that there is ice on the Moon. This discovery provides space agencies with great hope in sending long-term astronauts and possibly settlers on the Earth's satellite. “Direct and definitive evidence” confirm predictions: there’s water in the form of ice in the Moon’s polar regions. Scientists found evidence of water presence, under all its forms, in many places around the Universe where water worlds are seemingly way more common than we may think. Even Earth’s satellite holds liquid water in its ground, and ice on its surface. While previous studies have revealed the existence of groundwater in the Moon, lunar ice remained subject of speculations. One would think it would’ve been the other way around. Scientists have now confirmed the presence of water ice on the Moon surface. Researchers have directly observed evidence of ice deposits scattered around “the darkest and coldest parts” of the Moon’s polar regions. Besides NASA’s own Richard Elphic, a planetary scientist at Ames Research Center, the team comprised other planetary scientists and physicists from the University of Hawaii and Brown University (Providence, Rhode Island). To arrive at their conclusions, the team used data collected by the Moon Mineralogy Mapper (M3), an instrument built by NASA specifically to look for water ice on the Moon. In 2008, Chandrayaan-1, India’s first lunar mission, put M3 into the lunar orbit. In only about a year, M3 mineralogically-mapped the surface of Moon and spotted water molecules in the Moon’s poles. Although M3 officially ended its mission in 2009, its data is still here for scientists who dug into it and found “three specific signatures that definitively prove there is water ice at the surface of the Moon”. According to the study’s findings, most ice lies in some polar spots that are permanently-shaded from sunlight and where temperatures never exceed minus 250 °F. However, ice isn’t evenly distributed between and around the poles. At the northern pole, ice deposits are sparsely-distributed over a wide area, while at the southern pole, ice is more concentrated inside craters. 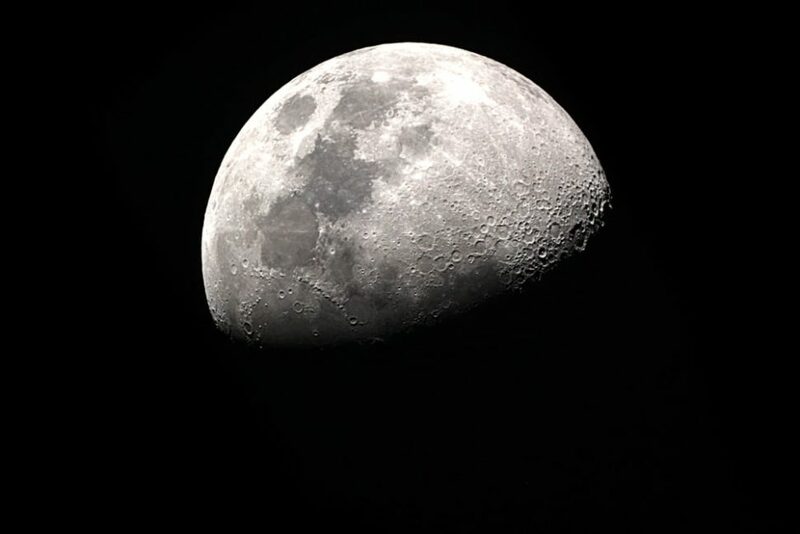 This is good news for NASA that plans to go back to the Moon after a long hiatus, especially since it has been pushed by the White House to prioritize the Moon as a destination to send its astronauts, instead of Mars. The presence of ice water is more significant to NASA’s lunar plans than liquid water is. With large deposits of ice exposed on the surface, water will be almost readily available to future lunar colonizers as an in-situ resource. All they need to do is to heat it up. They won’t have to dig deep into the ground to access liquid water, and it may give us more insight into how extraplanetary settlers can survive on other planets in the future. Does finding ice on the Moon raise the hopes of finding water on other planets?